This is a classy neighbourhood plaza at 785 - 803 Markham Road on a major north-south thoroughfare. Painted Post is on a corner so it has excellent visibilty from all directions. 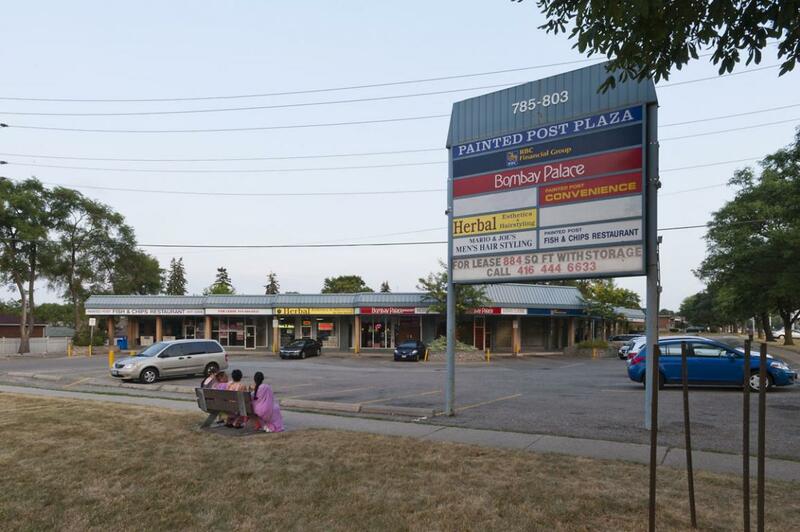 The plaza can be entered from either north or south on Markham Road or from Painted Post Drive so your customers will have no trouble in getting to your business. Highway #401 is just 2 - 3 minutes away. There is ample parking on the site for your customers. A large pylon sign contains a building directory with a read-o-graph for special messages. All of the stores have full basements. In the summer months there are attractive planters with flowers as well as nicely landscaped grounds to make your customers feel welcome. Each store has its own sign box.